A mesh Wi-Fi router spreads the network across one or more access points to cover a wider area. This is helpful for users who either have a large property or struggle with Wi-Fi-blocking obstacles, such as concrete walls or ceilings. In contrast to non-mesh Wi-Fi extenders, which create multiple separate networks, a mesh Wi-Fi network is a unified network, meaning you can seamlessly move between different access points. The expected release date for these new Exo routers is Q2 2019 and the prices will range between $ 170 and $ 190. Access points are sold separately and will cost up to $ 100. 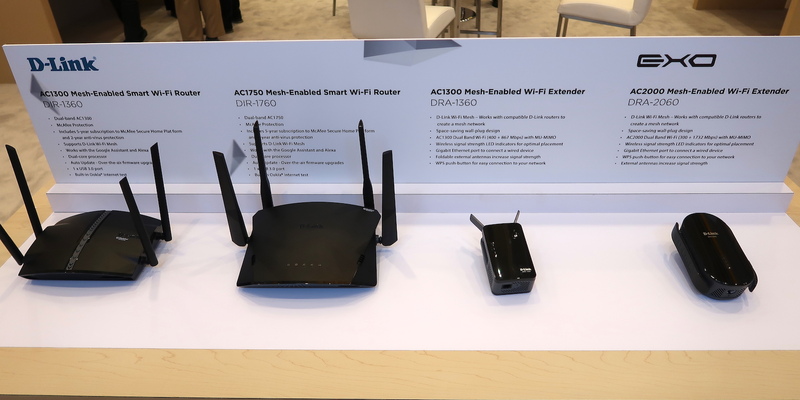 D-Link also showcased a 5G router. 5G mobile internet is all the rage at CES this year. Besides faster mobile internet, the promise is that 5G could replace traditional wired broadband internet.